The Moncton real estate market can be a jungle. You would be wise to have a guide. An expert who knows and understands houses. So are you guided and represented? Unless you are totally familiar housing why take a chance without representation? You can rely on me to be your licensed independent real estate guide to buying or selling real estate in the greater Moncton area. You can benefit from my experience and expertise. Whether you are buying or selling, engage me as your agent. And you will be safe with my pledge of undivided loyalty to you. One secret to making the right deal at the right price is having the undivided loyalty and representation of your own Agent. Representation is much more than simple assistance. UNREPRESENTED? If you choose me to be your agent then you are my principal and I answer directly to you. It would be my pleasure to represent you in the search for your perfect home. I invite you to learn about my professional credentials and services as an independent Agent for the Buyer. You will not be asked to agree to dual agency. I will not turn into a DOUBLE AGENT. Read my pledge of undivided loyalty to Buyer clients. If you wish to sell your property you will also benefit from my pledge of undivided loyalty. You will not be asked to agree to dual agency. I will not turn into a DOUBLE AGENT. I take my work seriously. And I thoroughly enjoy representing people in their real estate transactions. I fully represent real estate clients; local, living away and new to the Moncton area. As an independent Agent, my loyalty is entirely to my clients and not to any real estate franchise. I do not believe in Double Agency. For a rapid response, reach me directly by calling or texting: 506-856-0202 or use the send message link below. 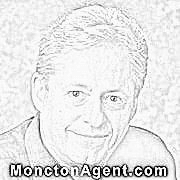 blogMoncton.com- a blog about the latest local developments and Moncton area real estate market stats.